Feminist organising on the continent is well known to have thrived from pre-colonial history to the fight to liberate Africa from the colonialism. Many struggles have been won as there are still many more to conquer especially in dismantling that colonial state structure which was pretty much handed to patriarchs. But the question still remains; are feminists inadvertently entrenching patriarchy by putting non-feminists in power? In the early days of working on ‘women’s political participation’, we used to have fierce debates in Africa about ‘numbers’ versus ‘quality’. There were feminists and women rights’ activists, myself included, who felt that it was imperative that we achieve numbers, regardless of quality as a human right prerogative – women have as much right to participate equally in positions of power and influence, and equally bristled at the notion that women somewhat had to have ‘quality’ before they could hold positions of power while the same was never asked of men. Those on the ‘quality’ argument reiterated that, putting women in power should be more than numbers as we were fundamentally challenging a patriarchal system that is built on male privilege, power and access. They said having women of ‘quality’ in power, especially feminists, would change the way national resources are allocated, prioritized to reflect differences in how women and men access resources and benefits, and importantly, bring in women’s lived experiences to governance. Not only that, such women would demonstrate to a sceptical public, the importance of having women in leadership and serve as mentors to younger women and men. And that while focusing on numbers might satisfy the ‘human rights’ argument’, it would not satisfy the overall goal of dismantling patriarchy, inequalities and necessarily improving the lives of women and girls, which are the fundamental goals of feminism. The arguments went on but as with what we do – there are those of us called ‘femocrats’, coined by Bisi Adeleye – Fayemi, who needed to get our professional jobs done – develop programmes on ‘women political participation’, support whichever women we could lay our hands on to get access to funding and skills training and other resources to enhance their chances of being elected/nominated to power. This we did while bandying around the case of Rwanda as our shining light – if it could be done in Rwanda, we certainly could do it in all other countries. Decades later, there are no new Rwandas in Africa. With all the resources expended over the years, we have not been able to increase numbers of women, in fact, it seems like the numbers are dwindling and more alarmingly, it seems like only women who are able to defend patriarchy to death, are the ones getting access to political power. We succeeded in limiting spaces for women by not broadening the conversations and getting behind very key electoral and political reforms that structurally challenge ‘democracy’ and the way it is currently practiced to begin dismantling patriarchy while also creating spaces for a new set of ‘female patriarchs’ who are first in power because of their allegiances to male power. They tell us every time how they are first wives and mothers, defend men’s access to resources and their honor against onslaught of ‘unsavoury’ women activists and feminists, are anti LGBTI rights, anti-sexual rights, pro – African values – whatever that means. Without batting an eyelid, the women we have in this patriarchal structure join in chorus of blaming women and girls for the sexual violence women and girls have experienced (they must have been seductively dressed, not raised properly, in the wrong place, not married ad infinitum) and attack any other woman seeking political office who is not like them. Most critically, they have reduced international spaces for progressive movement building, rolling back with abandon, women’s human rights that have been fought for and negotiated like sexual autonomy, access to resources, to make informed choices and equal participation. And worse, we have had to defend these women with our lives, pander to them because they are our ‘shining light’, they have succeeded and are in power, something we have always dreamed of, and we dare not hold them accountable. Did we get it wrong? Were we complacent in focusing all our resources on the same tried and failed tactics that are not backed with critical intellectual research on the numbers game and what it might mean? Numbers are very catchy and easy to get support for – we want 50% or 30% and we can continue to chant it as we wait for men to give way (seems forever at this stage). But we balk at the difficulty of having ongoing discussions about construction of power and the influence in how our states and institutions are set up. When we look at the impact on our lives, numbers alone cannot deal with these issues. 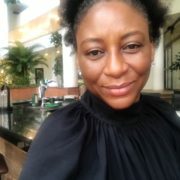 I remember when African women were actively challenging the way our states have been constructed, the economic models we are following in Africa and how they are not suited for us, the intellectual critiques and I am wondering, where are these women – have we become so much of ‘femocrats’ that we have become facilitators of patriarchy? We continuously have discussions about resource allocation, about civil rule, social protection systems, infrastructure, and how these do not work for women and other vulnerable groups (let us even keep intersectionality out of this at this time) but we seem not to make clear enough the link between these decisions and those who are making the decisions. Reasons behind those decisions and why we need not just new and transformative decisions but new people in decision-making. I am still convinced that women must have equal participation as a matter of right in public governance however I am just no longer convinced that any woman should have that responsibility. Feminists need to break ranks – we need to start to recreate our ‘tribe’ of women politicians and use our resources to put them in power. All ‘patriarchs’ need to be retired – men and women.